Spanish newspaper Marca reported Tuesday that Vuelta a España organizers have confirmed plans for a one-day women’s race in conjunction with the final stage of Spain’s grand tour. The 2015 Vuelta will finish in Madrid on September 13. 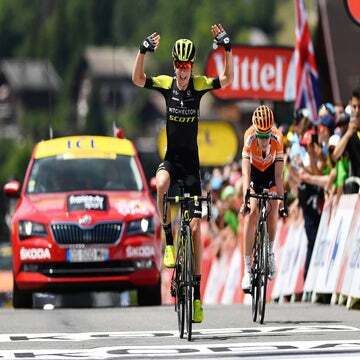 It is anticipated that the women’s race will take on a similar format to that seen at La Course by the Tour de France, which was held for the first time this year, and will return in 2015, again racing the Champs-Élysées circuit. Vuelta organizer Unipublic is said to be in talks with the UCI to seek a top-category classification for the event on the international elite women’s calendar. Details still remain unconfirmed, but as of now, organizers plan to hold the race on Madrid’s Paseo de la Castellana boulevard. As of yet, the event does not have an official name, but it is expected to resemble La Course in many ways. This race will be a welcome addition to the women’s calendar, which sees precious few elite races in Spain, with the exception of the Bira stage race. VN Show: Tour de France hopefuls must attack… but where?